We were on our way up to visit my dad when the conversation turned to money. Stevie and I are usually pretty good at talking about money, and this conversation should have been a breeze. We were talking about savings and how that has slowly become a word that we don't have to put the words "we should really think about" in front of any more. Then I messed up. I said something kind of mean. Not only was it mean, it was incorrect. I said that I pay for everything. I don't pay for everything. Not even close. It's pretty even. I don't even know why I said it. Stevie was obviously upset. She got quiet and started responding with short punctuated answers when I asked her what was wrong. Then I took the next logical step. I got mad at her for being mad at me. It went about as well as you would expect. We rarely yell at each other in front of the kids, but that day we were in the unfortunate position of being trapped inside a minivan on a long drive, and I was in no mood to pause the conversation. 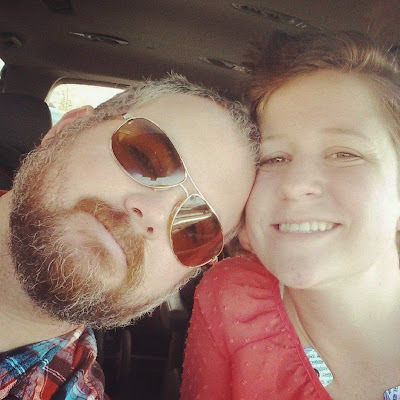 We yelled back and forth for a few miles, and slowly I found that I was having two arguments, one with my wife about why she was wrong, and one with myself (in my head) about how I was the one who was wrong. This is not a fun position to be in. I felt entrenched in my position, not because of my rightness, but because of the time and emotional investment I had put into it. Here's how it went. The italics are words in my head. I'll start about five minuted into the fight. "Whenever we go out to eat I ALWAYS pick up the check!" I said. "Not every time. I've been paying for a lot lately, and when I take the kids out to the zoo or the aquarium I pay for everything there too!" "She's right John, you know she's right this time. You should turn back now. Quit digging this hole." I dug in further with a strategy that would definitely work. I went all IRS Audit on her. "Tell me one time that you paid for that stuff. Show me a receipt. I pay for all of that stuff." "You're kidding right? You want receipts?" Now she was getting really upset. "You realize that she has a phone and can pull up her bank account right? That was really dumb. Why does this even matter?" "I don't know why it matters!" "You don't know why what matters?" She said. And then we drove on in silence. By the time we pulled into my dad's driveway I had calmed down enough to let my italicized words out. "I'm sorry. That was dumb. Of course you pay for a lot. I don't even know why I said that. I don't know why I kept saying it. I got defensive. I'm really sorry." She forgave me and we had a nice day at my dad's house. This is how most of our fights end. There's the initial argument. Sometimes there is some yelling. Eventually we take some time for quiet contemplation, one or both of us admit fault and we move on. Sometimes we fight about big things, sometimes we fight about dumb little things. I can honestly say, I have never fought with anyone the way I fight with Stevie, and I mean that in a good way. With Stevie, once the anger and defensiveness subsides, I'm not afraid to admit I am wrong. I have never had that before, which, if I am being honest, was probably a big factor in the demise of a lot of my previous relationships. In past fights I would just dig in forever. I would talk in circles until the other person just gave up. I would never apologize, at least not sincerely. I didn't do this because I was afraid of losing the fight; I did it because I was afraid of losing the person. I have no idea how I made that connection in my head at the time, but for some reason I thought the success of previous relationships relied on that person seeing my point of view and know why I felt the way I did, all of the time. It was a really selfish way to go through my twenties. That changed with Stevie. Our fights are different. Even though sometimes each of us are wrong, when my wife and I get in an argument I don't feel like we're watching each other's mouths moving while waiting for our turn to talk. We listen. We respond. We take some time, and we apologize. She taught me that. Stevie's empathy taught me empathy, and with that came a willingness to be wrong, and for that I am forever grateful. She makes me a better person. We still have fights, and being right still matters to both of us, just not as much as it used to. Finding a way to see each other, really see each other, matters a lot more. 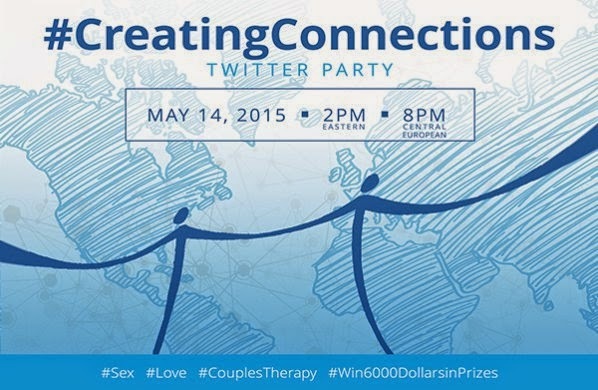 Speaking of marriages, join me and a few of my good pals for the #CreatingConnections Twitter party on Thursday, May 14 from 2-3 p.m. EDT, hosted by @Dr_SueJohnson and @NM_Seminars. RSVP now and have a shot at winning prizes including a Norwegian Cruise Lines gift card ($1,000), an iPad mini and copies of Dr. Sue Johnson’s books. I think the best thing most people can do is accept and embrace the times they are wrong, and move on. Far too many know-it-alls in the world, me being one of them. But I'm working on it. Yes. This basically my exact experience. From what doomed me in the past to what has worked for now this sums it up. Sometimes I even manage to catch myself and tell my wife, "I need to not talk about this right now. I need to be a lone for a while and figure out why you're right on my own." She doesn't always love that but it works.